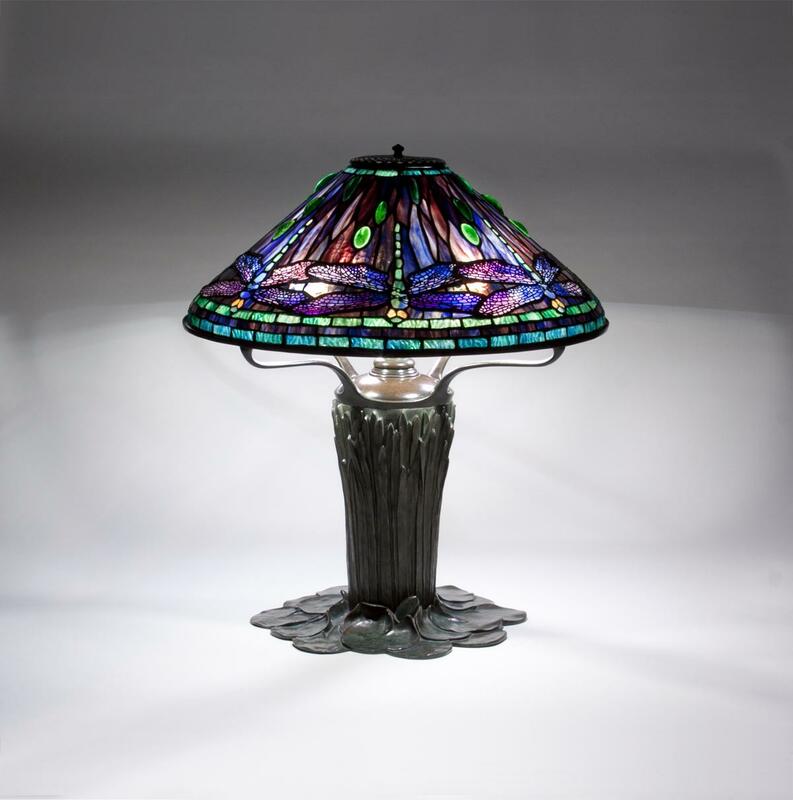 A Tiffany Studios Dragonfly Lamp comprising a 20-inch diameter Dragonfly shade, featuring pale green dragonflies with deep blue and maroon wings against a background of streaky glass in deeply pigmented shades of blue, maroon and purple with bright green pressed Tiffany Glass jewels throughout. The shade is paired with the Cattail base, one of the most sculptural bases produced by Tiffany Studios, in a rich brown-green patina. Both the shade and the base are signed.